Universal Africa Lines is proud to announce the latest addition to its fleet, the mv UAL Fortitude. Universal Africa Lines, the niche carrier for the Oil and Gas and project industry in West Africa, has recently purchased the mv UAL Fortitude. The mv UAL Fortitude , a modern 12.744mts DWT multipurpose vessel with 3 box shaped holds, is equipped with 2 x 180MT ship’s gear which can be combined to 360MT lifting capacity. 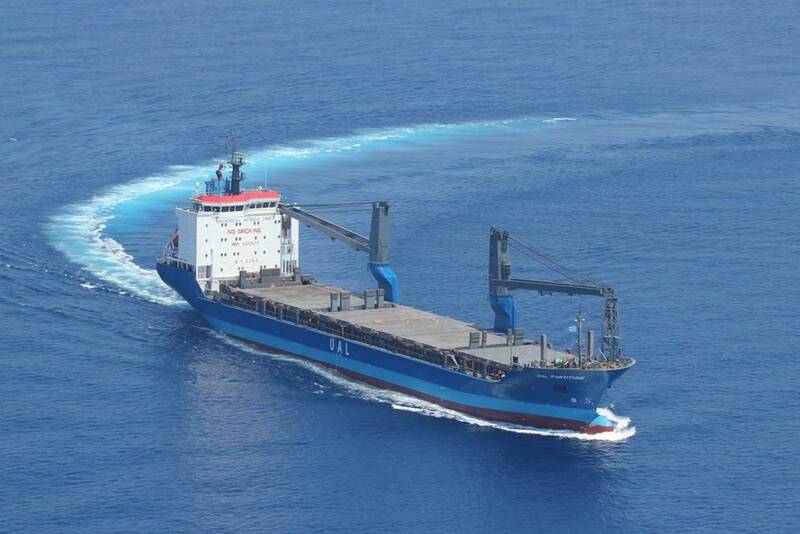 With the acquisition of this vessel, UAL is entering into the market for heavy lifts in West Africa. “We are very excited to have this new lady in our fleet ” says Harald Maas, Director of UAL Netherlands, “The Oil and Gas industry is putting more and more demands on the lifting capacity of our vessels, and this latest addition will ensure UAL will maintain it’s position as the leading carrier for the Oil and Gas industry in West Africa for years to come. We are looking for further expansions of our fleet in the very near future, especially in the heavy lift segment “.